Alpha Sigma Tau’s insignia consist of the Greek letters (AΣT), the Crest, Badge, and name “Alpha Sigma Tau” (as well as all associated nicknames). Trademarks are registered with the United States Patent and Trademark Office. Licensing agreements grant licensed vendors the non-exclusive right to utilize Alpha Sigma Tau’s insignia. The licensee acknowledges the ownership of the insignia by the Sorority, and agrees to work or provide products and/or services. 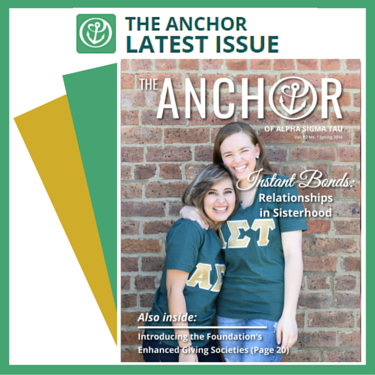 When chapters are planning for a special event and/or ordering T-shirts and other merchandise that bears the Alpha Sigma Tau insignia, the chapter must order from licensed vendors. 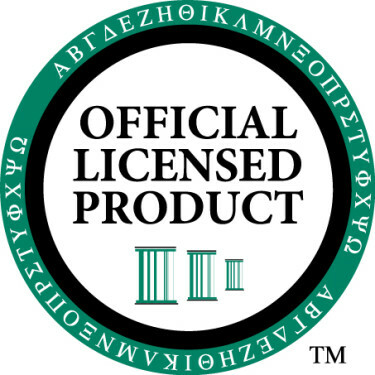 A current list of licensed vendors can be found at www.greeklicensing.com or here. Affinity Marketing Consultants, Inc. administers the use of trademarks for North America’s leading fraternities and sororities. Learn how to become a licensed vendor and sell products that bear the Alpha Sigma Tau letters, Crest, and/or associated logos and symbols. The Emerald Boutique is Alpha Sigma Tau’s official store and your one-stop-shop for AΣT merchandise and custom group orders! Visit them today! Collegiate chapters order Badges for new members through Officer Portal. Log in to Officer Portal by clicking “Member Login” at the top of this page. Individual members can order replacement Badges through AΣT Connect. To place an order for a new or replacement Badge, log in to AΣT Connect using the “Member Login” link at the top of this page. Then click “Alumnae Dues,” select the Badge option(s) you want to buy, and complete the payment information at the bottom of the page. Alpha Sigma Tau chapter guards, dangles, bracelets, rings, necklaces, earrings, and much more can be ordered directly through Herff Jones.